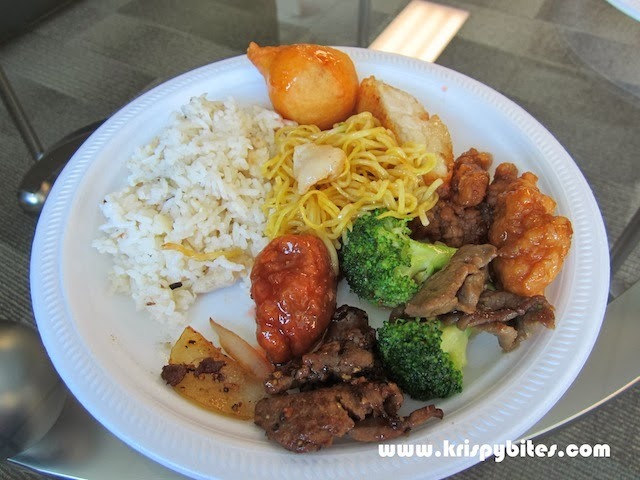 One day several months ago, my coworkers and I decided it would be a good idea to organize a Chinese lunch buffet at the office. 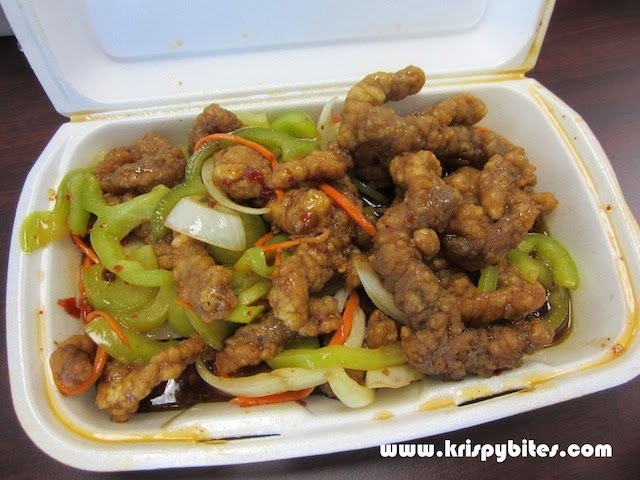 Golden Taste, a new Chinese restaurant, had just opened up the road and offered a 10% discount on takeout orders. 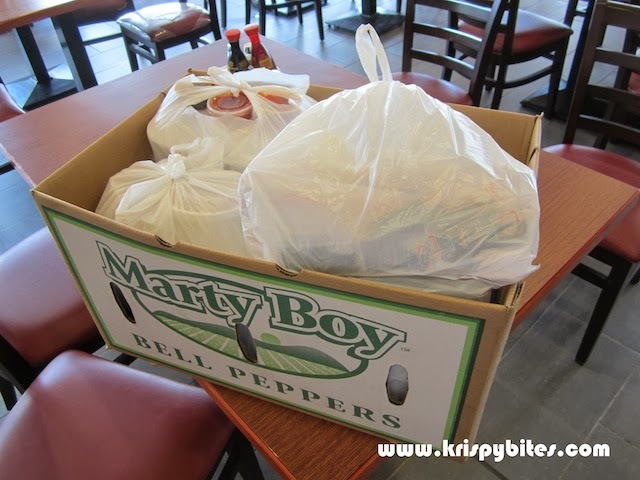 And so we called and placed our order, then went to pick it up. 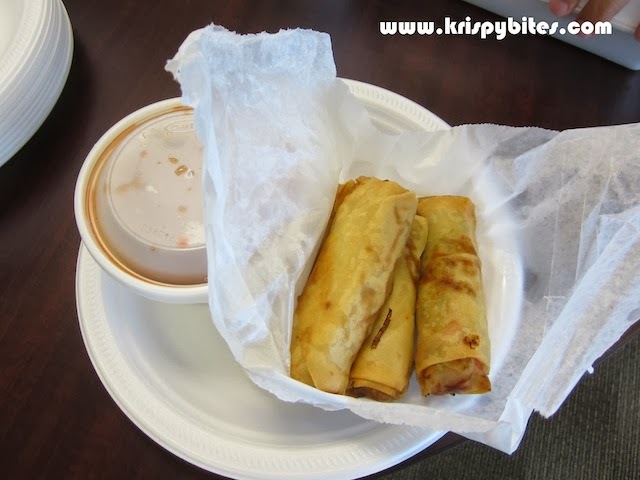 They packed the 10 dishes along with the soup, rice and spring rolls in a large paper box. I noticed that we were only given one tiny plastic cup each of hot sauce and soy sauce, which seemed unreasonable for an order well over $100 that was obviously meant for 8-10 people. I requested more, at which point the lady gave me a look and said, "How many? One more? 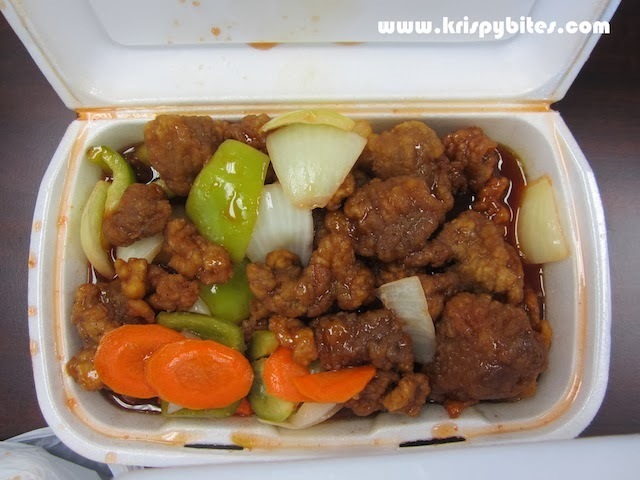 Ok." She looked resentful as she stepped into the kitchen to prepare the extra sauce. Before we left, without so much as a smile or thank you, she threw a bunch of takeout menus at us and instructed us to hand them out at the office. Needless to say, those menus found their way into the recycling bin pretty quickly. Now for the spread... Slightly burnt spring rolls are definitely the best way to start your meal. This dish was most likely a financially viable use of leftovers. 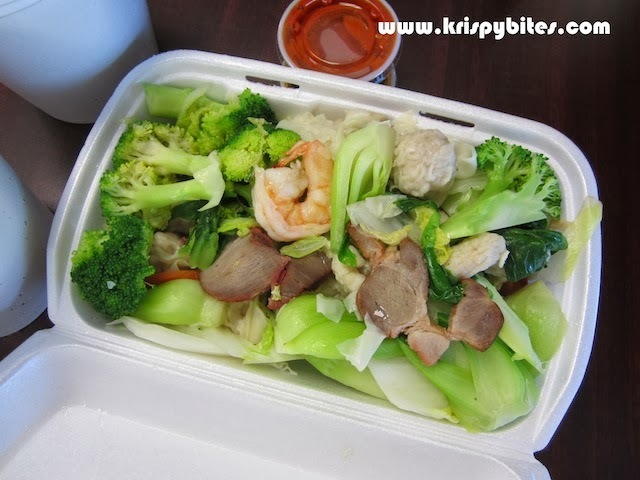 Veggies, shrimp, BBQ meat, wontons, whatever you can think of, just throw it all together! This was also served with a clear flavourless broth on the side, so all of these ingredients were supposed to be part of a soup... I have no further comments. Where to start with regards to these chicken balls? As a Chinese person, I have never seen this dish in all my years of eating Chinese food. 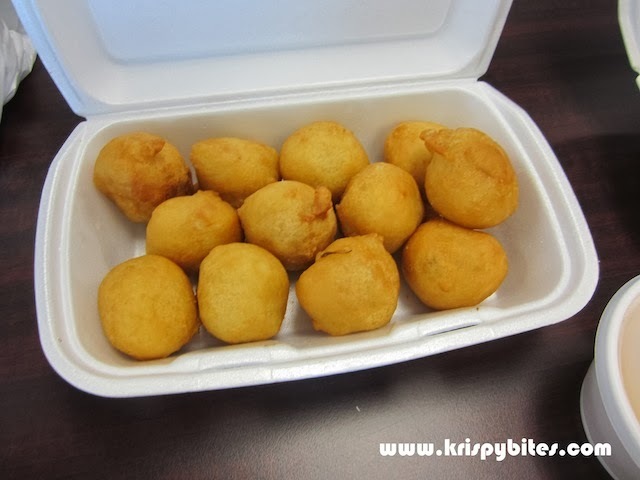 I had expected pieces of chicken breaded in a thin batter and fried, but each of these balls were a big piece of tasteless dough with a small cube of chicken meat inside. Weirdest thing ever. They were served with sweet and sour sauce on the side, which was a starchy goop with lots of red artificial colouring. Lemon chicken! 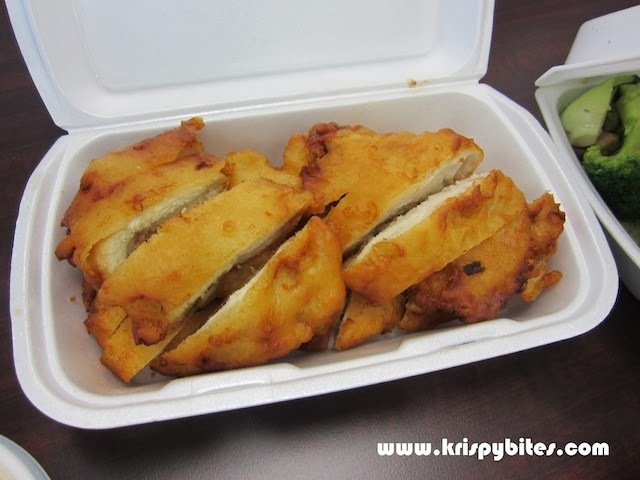 Now this is a bit closer to what I was talking about: breaded chicken with a thin batter. 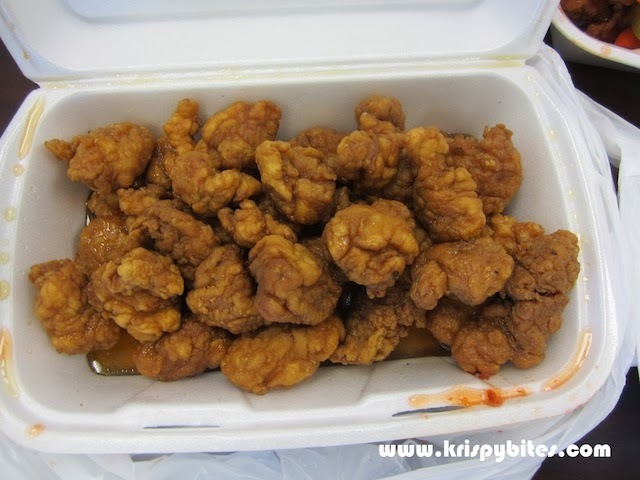 But the texture of the meat was coarse and dry; the battered skin was over-fried, hard, and separated from the meat; and worst of all the sauce was a runny yellow liquid that smelled and tasted like lemon-scented detergent. I'm not too sure what this was... I just know it was some sort of spicy fried meat dish. However, the presentation looked like mangled chicken feet or fried worms or a combination of the two. Finally a dish that looks relatively normal! 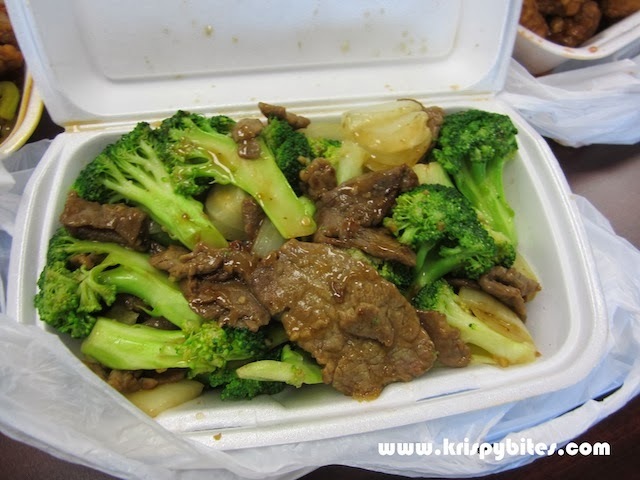 Good old stir-fried beef and broccoli. Another normal-looking dish. Stir-fried squid, once again with broccoli. 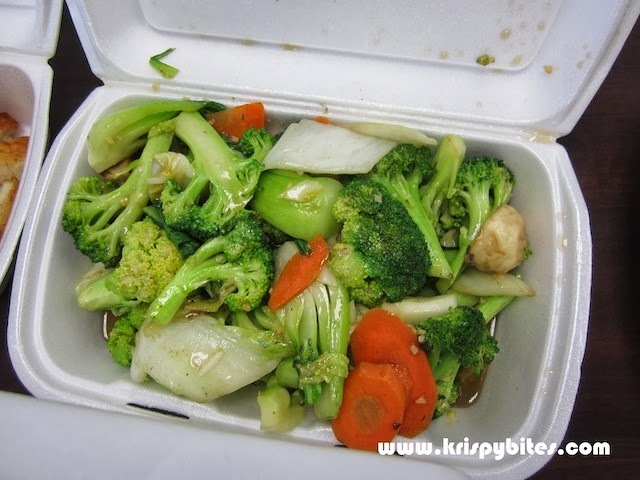 By the way, I find that a sure sign of Westernized Chinese food is the extensive use of broccoli and carrots (half-cooked and still crunchy) in most dishes with vegetable accompaniment. 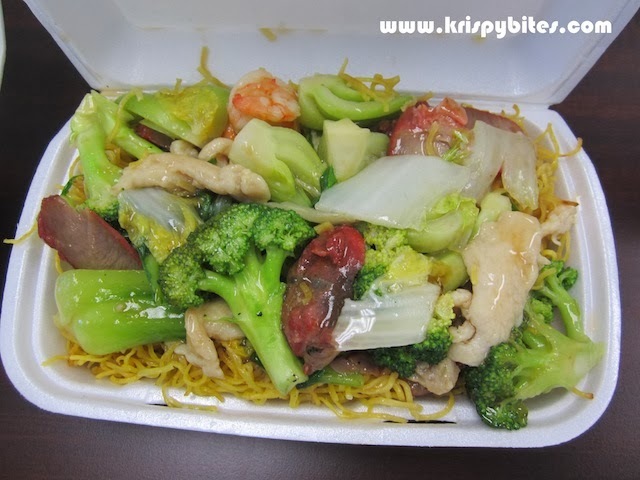 Now for one of the most stereotypical Westernized Chinese dishes of all — chow mein. Just like the "soup", this noodle dish also came with a medley of leftovers: 3 different vegetables, shrimp, BBQ meat, and chicken. Another badly presented fried meat dish. 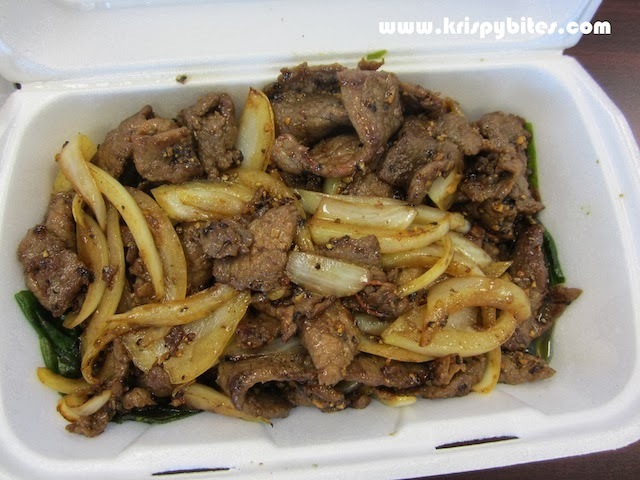 This stir-fried beef and onion dish with black pepper was actually not too bad compared to the others. 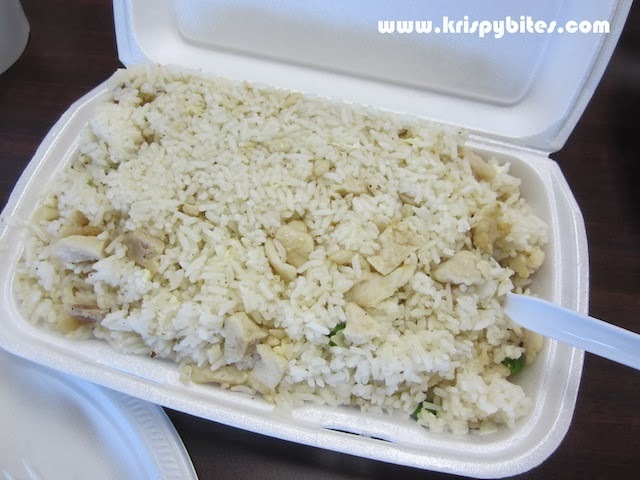 The rice came with bits of taro and meat which was a bit strange. But at this point I really wasn't surprised. I tried a bit of each item and honestly the food wasn't as bad as I made it sound. However, I still consider the quality to be well below average. The meal was very cheap though, at around $10 per person, so it could be good for people who are less picky about their food. Personally I don't plan on giving my business to this restaurant again, whether it's for dine-in or takeout. Service was rude and condescending, and the food was unauthentic and mediocre.